Hiya guys! I swear I didn't forget about any of you guys. But I do apologize as I was supposed to have this post up in the afternoon yesterday, obviously that didn't happen. I ended up being more tired than I thought when I came home from work and fell asleep. The life of an anemic girl, always tired no more how much I sleep. 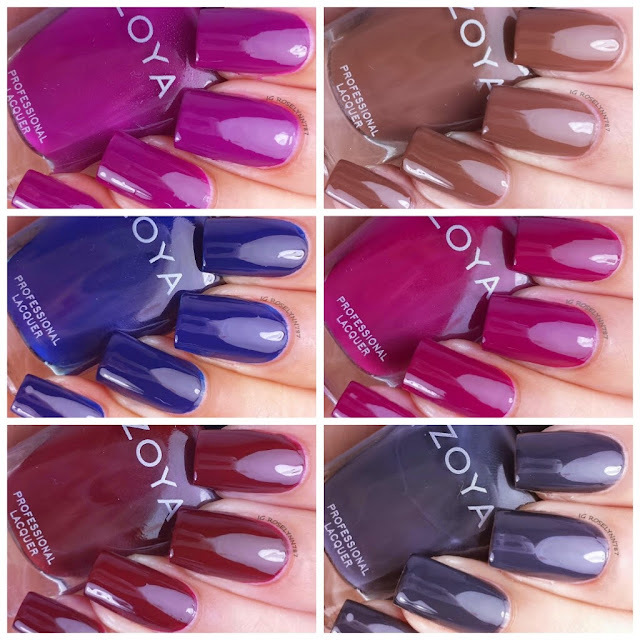 I won't babble too much because I know some of you guys are anxious to see the other half of the new Zoya Fall releases. Earlier this month I showed you the Naturel Deux Collection and yesterday I showed you the Ignite half of this collection. Without further ado, here is the Entice Collection by Zoya just in time for the Fall. Put the shimmers aside because it's time for the cremes to reign supreme! 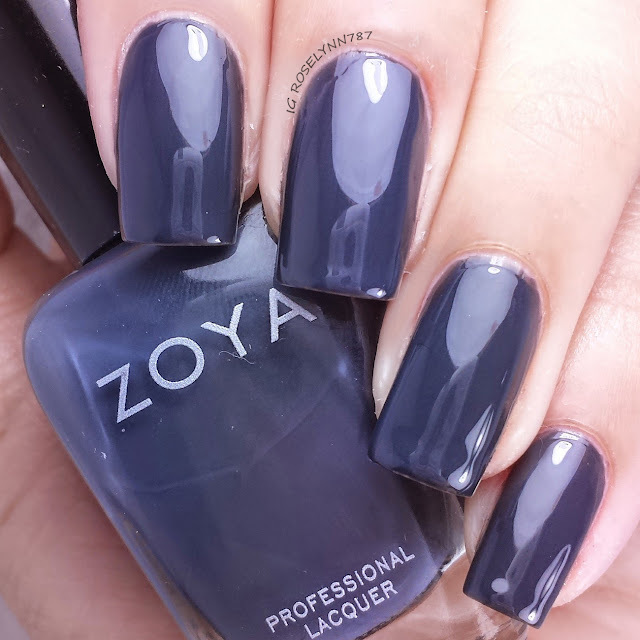 The Entice Collection by Zoya is part of their Fall 2014 release and consists of 6 creme polishes. Let's take a closer look at each one of these beauties. In an effort to save some time, I'll only be doing brief descriptions for each polish as I did for the other half of the collection. The six polishes in the Entice Collection by Zoya have the exact same great formula. They all have a pretty good consistency, however, be careful not to flood your cuticles. While the formula is not too thick nor too thin if there is too much polish on the brush you'll find yourself in a pickle. Each of the polishes required two thin coats to be fully opaque and were sealed with a shiny topcoat. Nyssa is described as a milk chocolate brown creme. This beauty reminds me a lot of the natural nudes in the Naturel Deux Collection from earlier this month, specially Chanelle. Would anyone like to see a comparison post? Let me know down in the comments. Claire is described as a rich burgundy creme. 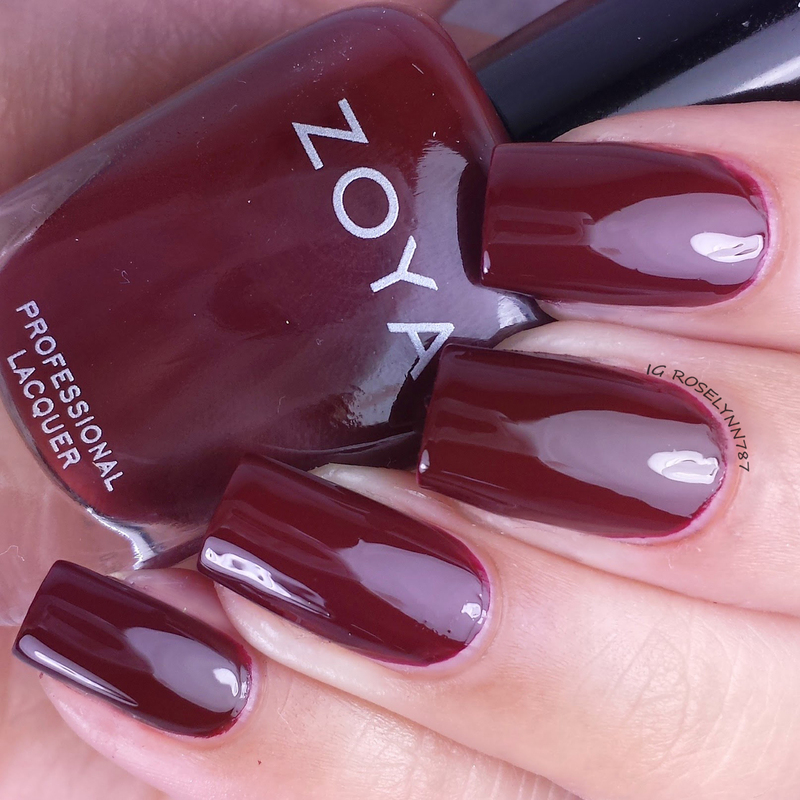 Such a beautiful and dark red, perfect for the Fall. This beauty did stain my cuticles, however, it did not stain my nails. Veronica is described as a brilliant wine creme. Such luscious and rich shade. I absolutely love how it looks against my skin-tone as well. Margo is described as a red plum creme. 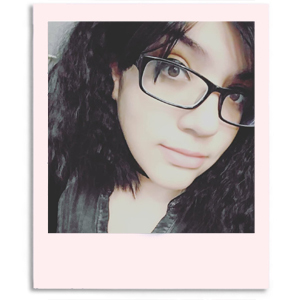 It's a bit similar to Veronica at a quick glance, but it has a bit more of a purple kick behind it. 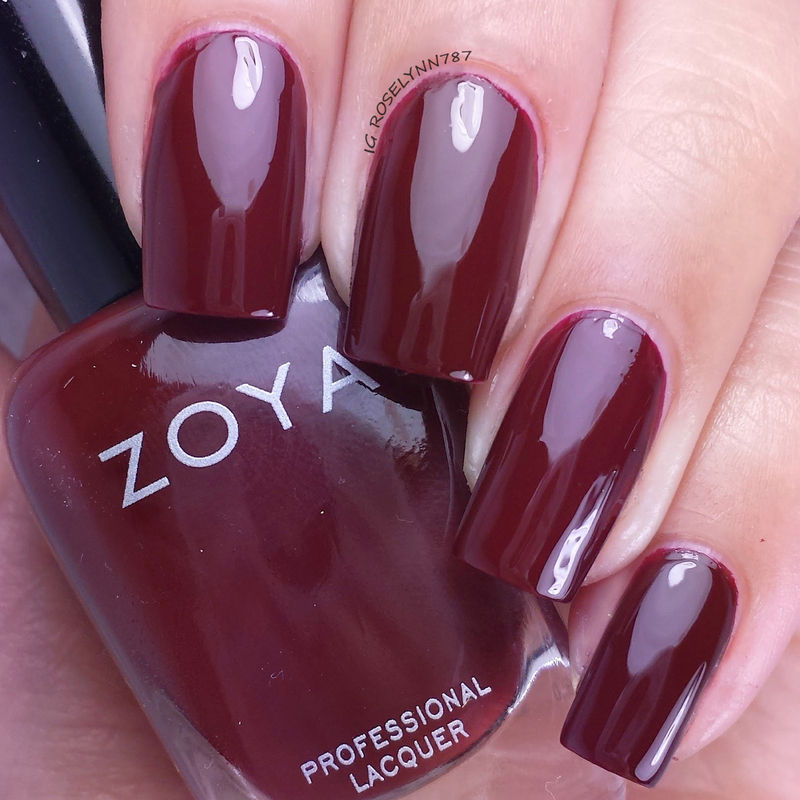 Another one of my favorite picks for the Fall, this shade is a the perfect combination of red and plum. Ryan is described as a classic indigo creme. Not only my top-pick from this collection, but one of my favorite shades from Zoya this year. 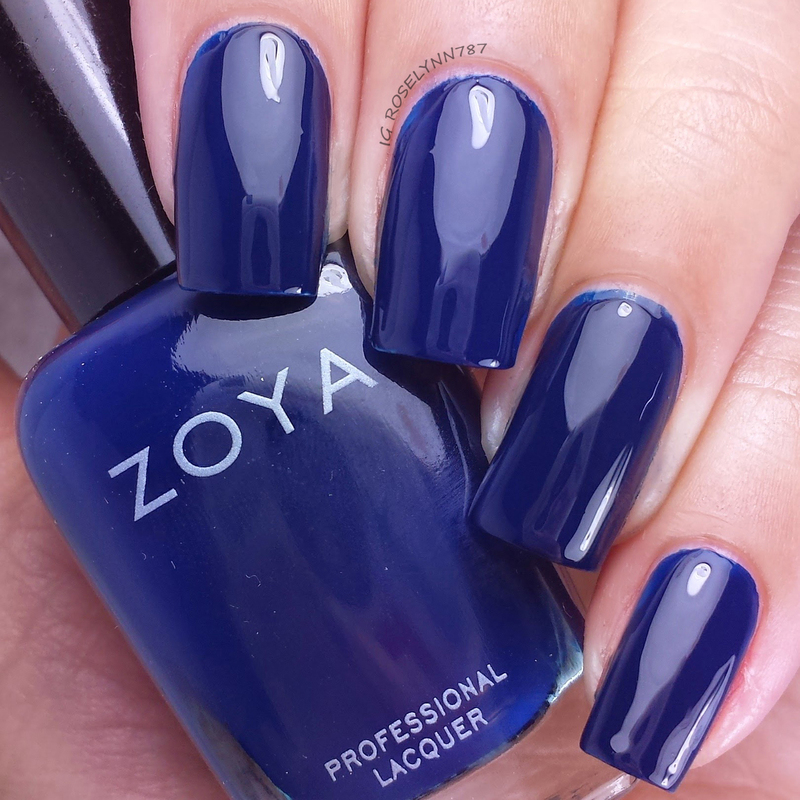 I've been looking for a royal dark blue hue like this for months, but until now I hadn't found one quite like what I was looking for. Genevieve is described as a leather grey creme. Out of all the polishes in this half of the collection, this will have to be my least favorite one. I wish the grey color was just a bit darker. 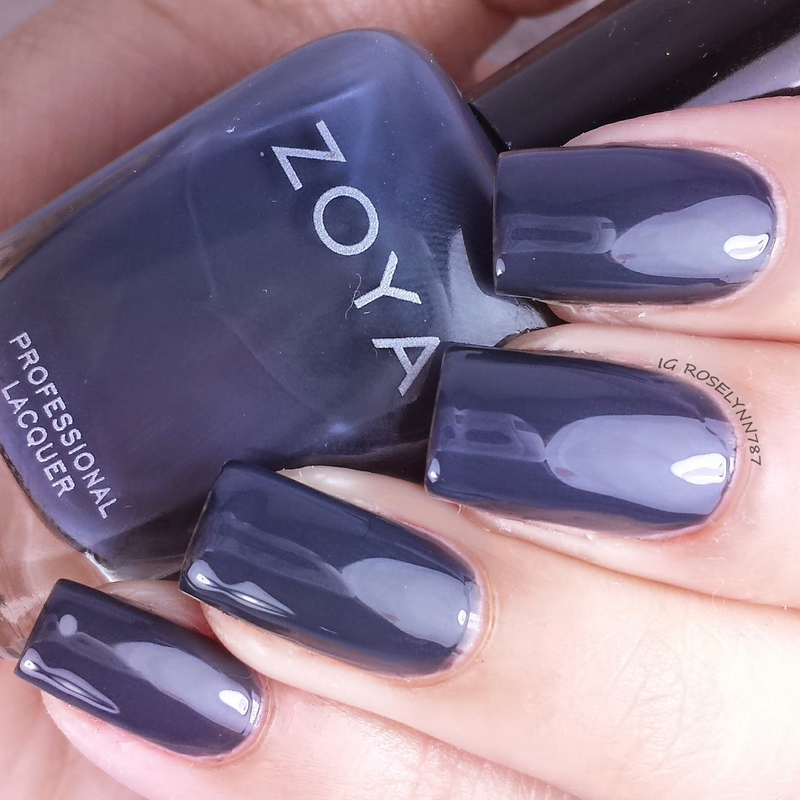 Overall the Entice Collection by Zoya goes hand-in-hand with the Ignite Collection I showed you guys yesterday. I personally tend to prefer the cremes over the shimmers because they'll be great for upcoming nail art in the Fall. 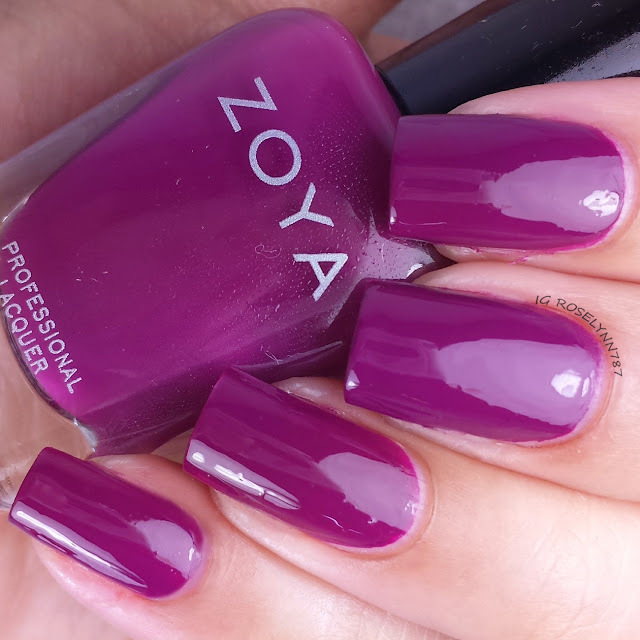 Watermarbles, stamping, etc - Zoya's creme formulas work for everything you can think of. Speaking of formula, the Entice Collection has a great consistent formula throughout each of the colors. As I mentioned before, some tend to be a little thinner and prone to cuticle flooding. So long as you apply careful and thin strokes you shouldn't experience any issues. 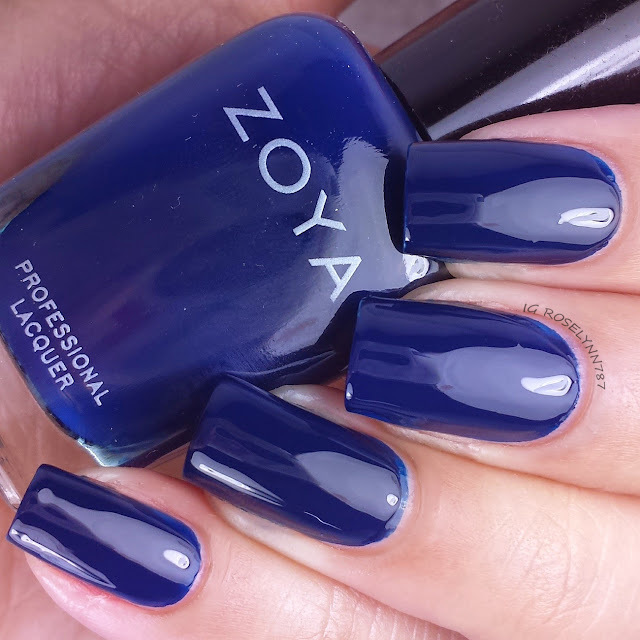 The Entice Collection by Zoya is now available for purchase on their website. Each bottles retails for $9.00 and the entire set can be yours for $54.00.